7 for 7.30 pm at the Village Hall, King Street, West Deeping. Tom may or may not mention one of the archival treasures I discovered when I first visited the library and museum of the Spalding Gentlemen’s Society. West Deeping Heritage Group was involved in its Heritage Lottery-funded project on the Stamford Canal and we were looking for illustrations of vessels on the River Welland from the period when the canal was in use. Until then, we had only seen some pictures reproduced in black and white in The Stamford Canal, the book published by Deepings Heritage in 2005. But here were the originals! In a bound volume is a collection of small watercolour paintings, not much bigger than postcards and two to a page. They are each numbered, captioned and dated. The 3 below – “The Chain Bridge, Spalding” , 1828, “The River Welland in Spalding Lincolnshire”, 1827 and “View of Spalding from the Deeping road”, 1828, include vessels under sail and fenland lighters of the type which brought goods up the Welland Navigation to the Deepings and on the canal as far as Stamford. Each picture is initialed HB – by the artist Hilkiah Burgess. Born in Bethnal Green in 1776, his family later lived in Lincolnshire. 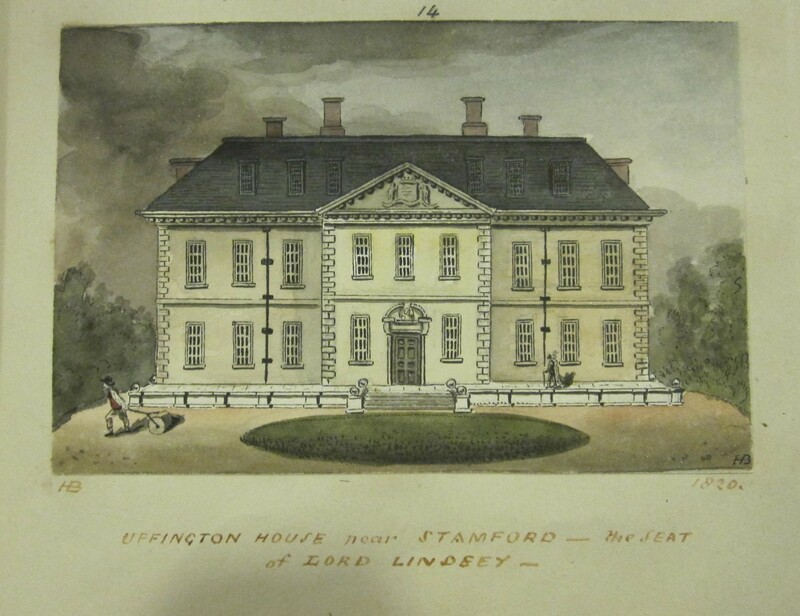 He worked as an engraver with his father William, who was also a Baptist minister at Fleet, near Holbeach. The collection is a treasure trove for local historians. 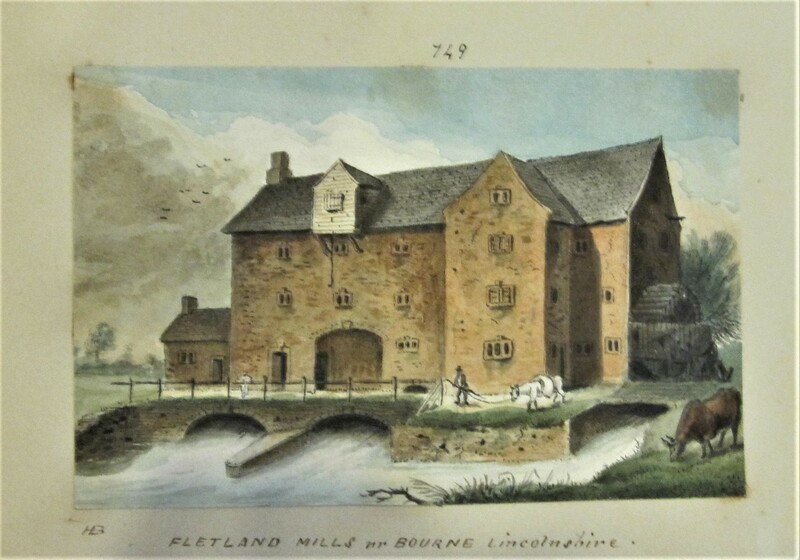 There are several more scenes of fenland and river scenes near Spalding, but keep on turning the pages and you will also find illustrations of historical buildings and churches further afield in Lincolnshire. 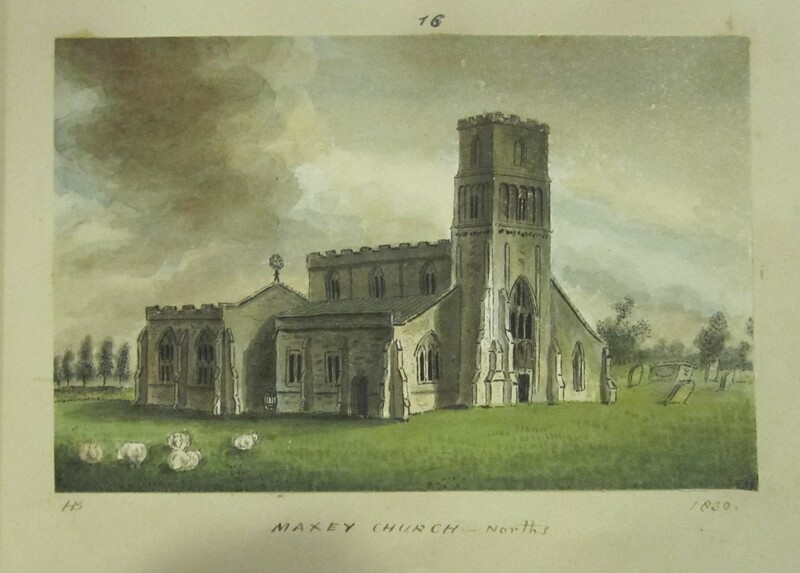 What a treat it was to discover the illustration of our own church at West Deeping, dated 1821! 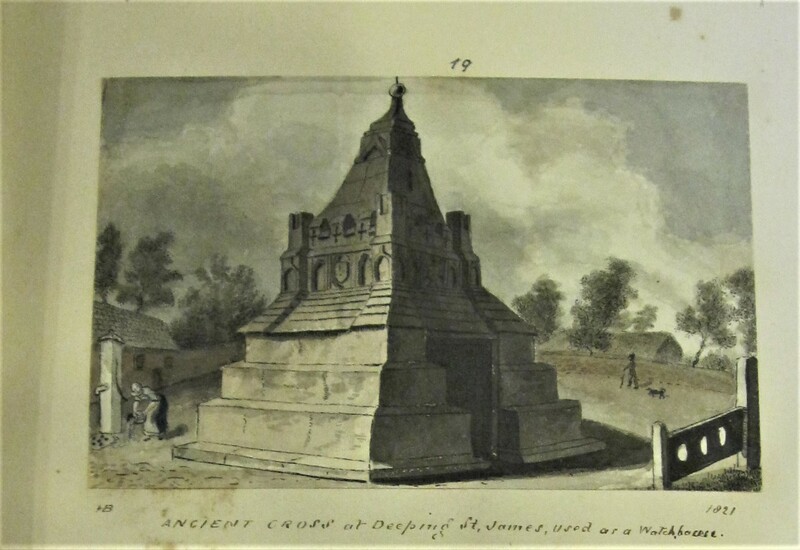 Maxey Church, Fletland Mills, Northborough Hall, Uffington House and the “Ancient Cross at Deeping St James”. What other treasures are to be revealed? 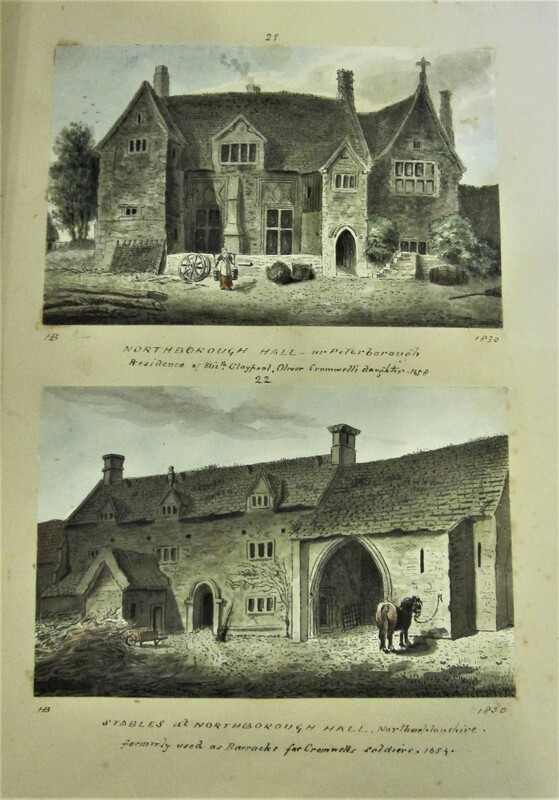 Do join us to hear Tom Grimes talk about the history of the society, how it was formed in the early 1700s, about its famous and erudite subscribers and the collection of artefacts, archives and literary treasures that has been built up over 300 years. This entry was posted in Our Events, Stamford Canal and tagged Fenland lighters, Hilkiah Burgess, River Welland, Spalding, Spalding Gentlemen's Society, St Andrew's Church, Stamford Canal, Welland Navigation, West Deeping on February 5, 2017 by wdheritage. Anyone who is interested in the Stamford Canal, or the Welland Navigation and who missed Dr Barry Barton’s talk at West Deeping in July 2013 won’t want to miss the opportunity to hear him talk in more detail about the history of the canal on Saturday 1st March 2014 at 2.30 p.m. at Uffington Village Hall. Archives, photographs and a digital record of West Deeping Heritage Group’s recent project will be on display for the afternoon. Dr Barton is a member of the national Panel for Historic Engineering Works, for the Institution of Chartered Engineers. 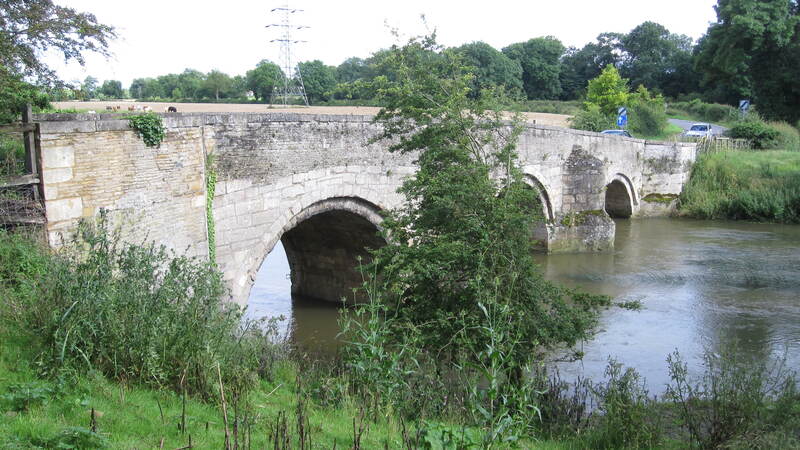 He carried out extensive research on the Stamford Canal the 1990s, resulting in its being listed as a Historical Engineering Work, along with Uffington Bridge. This entry was posted in Our Events, Stamford Canal and tagged Stamford Canal, Uffington on February 24, 2014 by wdheritage.